We are happy to announce our role as dual agent in the sale of "Parrotdise" a 2005 Sea Ray 290 Amberjack. She will not move far, as her new owners will keep in Cape Coral where she previously resided. 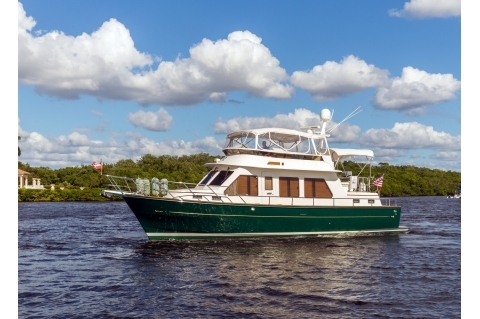 Weber Yachts is pleased to announce the sale of "Star Fisher", a 2003 President 47' Fast Trawler. She will be heading north to New Jersey in the spring with her new owners. We are pleased to announce our role as buyers representation in the purchase of this beautiful 2008 60 Sundancer. This is the second time the owner has used Weber Yachts as buyers representation. She will spend time in Florida and the Bahamas before navigating America's Great Loop. Copyright © 2019 Weber Yachts. All rights reserved.